I finally got to see Examined Life, a pseudo-intellectual documentary that aims to make philosophy a tad more accessible. The film uses some of academia’s rock stars to talk shop outside of normal confines, which is interesting, but probably still of limited appeal. No truly weak spots among the line-up, and all have at least a few stimulating nuggets. See it if you get a chance. 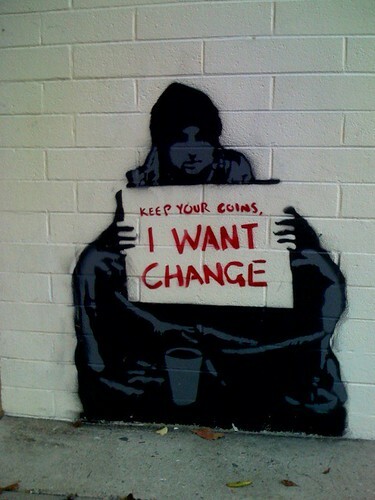 This is not a Banksy, but I dig it.